Contact the customer care helpdesk at Santander on their UK freephone number 0800 9 123 123 for free to make general enquiries about your current account, including whether you are eligible to recieve cashback bonuses if you are a 123 accountholder. Therefore you can manage your account by requesting an increase in your overdraft limit, adding a new accountholder to form a joint account and to close it providing all debts have been paid off. Moreover you can also reach their automated telephone banking service by dialling this number thus allowing you to check your balance and transfer your money from the comfort of your own home. You can also perform these account management functions using their online service, therefore if you need technical support when entering your login details including your username or password you should call their friendly staff for troubleshooting tips. You should also call this helpline immediately if you suspect that either your Santander credit or debit card is missing so that they can cancel it in order to prevent it from being used by criminals. This helpline applies to both credit and debit cards, thus you can call this number for information on what forms of ID you require so that you can withdraw money from their branches without your card. Calls to the Santander customer service phone number 0800 9 123 123 are free of charge from all UK landline and mobile telephones, please note that you may still be charged if you call this helpline from a payphone. Lines are open 24 hours a day, seven days a week although an automated service is in effect outside of conventional bank branch opening times. 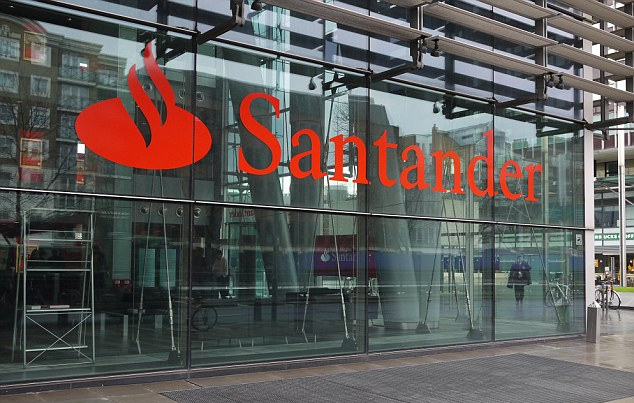 If you would prefer to contact Santander from outside the UK please phone their international helpline number +44 1908 237 963 to manage your current account finances from abroad. This overseas number is open 24 hours a day seven days a week so that you can report emergencies to them from overseas such as losing your debit card. However unlike the equivalent UK-only number this is not a freephone service so you will have to pay a charge when phoning this number, the exact cost will depend on which country you are calling Santander from. 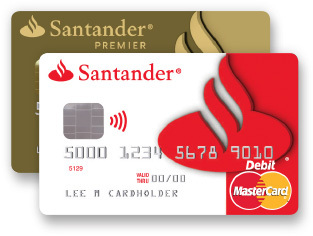 Call Santander for free to enquire about your credit card on their freephone contact number 0800 389 9905 where you enquire about the APR interest rates which currently affect your card. If you aren’t an existing customer you can also phone this number to apply for a credit card, however be aware that your eligibility is dependent on your previous financial history. By contrast if you would like to close your credit account you can phone this helpline for details about making the requisite balance transfer. Lines are open between 8am-9pm Monday-Friday and 8am-4pm Saturday, therefore please note that you will be unable to call the Santander credit card hotline on Sundays as well as UK bank holidays. Contact Santander on their freephone telephone number 0800 917 5630 for free to arrange an appointment in your local branch in order to discuss your mortgage. You should do this if you would like to borrow more against the value of your property or you are struggling to make your regular repayments. Moreover if you would like to remortgage your house to release capital you can phone this helpline for a valuation on how much money you will receive. You should also call this number to apply for a Santander mortgage, where you may be eligible for special discounts if you are a first-time buyer. Similarly if you are moving house you should call this helpline to inform Santander so that your monthly repayments can be adjusted accordingly. Phone Santander for advice about your savings & investment accounts by calling their dedicated freephone contact number 0800 389 9875, where you can confirm the annual interest rates which apply to these products to help you grow your money. Similarly you can phone this department for advice on when you can withdraw money from your ISA account as some savings products have limits on how often you can take funds out. You should also call this helpline to contact a financial advisor to discuss which saving account would be most appropriate for your needs and income. Phone Santander to manage your personal loan by calling their freephone contact number 0800 876 6386 for free from any UK landline or mobile telephone. You can call this helpline to extend the amount you borrow or by contrast to pay off your loan early by paying in money from another account. You should phone this number immediately if you are in financial difficulties meaning that you are struggling to make your monthly repayments, as their sensitive team of advisors may be able to extend your payment deadline. Contact Santander home insurance on their UK phone number 0345 030 7767 to get a quote for your property protection and to upgrade your policy by adding contents cover on your valuable items. You should also phone this number if your policy has expired and you would therefore like to renew it, however your premiums are likely to change on the new document. Similarly if you would like to move home you should call this helpline for details on how you can either transfer your insurance to your new address or cancel it, although there will likely be charge for early cancellation. In the unfortunate case that your property has been hit by fire, theft or flooding you can make a claim on your home insurance by calling the correct phone number from the table below. Calls to the Santander home insurance contact number 0345 030 7767 are charged at identical rates to 01 and 02 area code numbers, which means you will pay an access fee to your provider as well as the aforementioned per-minute rate which varies depending on when you make the call. Alternatively if you have free inclusive minutes on your landline or mobile tariff you can use these phone Santander for free as these can be used on calls to national 03 numbers. Phone Santander for free on their car insurance freephone contact number 0800 975 2623 to get a quote for your vehicle protection, to renew a previous policy and to add optional extras to your cover such as roadside assistance. New policyholders can also call this helpline to notify the bank that they are eligible to receive no claims discount on their monthly premiums as a result of their previous safe driving record. If your car has been involved in an accident or you have broken down at the roadside you should phone the appropriate number from the list of Santander car insurance contact numbers below, depending on when you took out your policy. Contact Santander Bank on their travel insurance freephone number 0800 519 9921 to get cover for your next holiday or business trip. Similarly you can call their friendly customer service staff if you would like to renew a previous policy for a new trip or extend your current cover by upgrading to multi-trip protection. Moreover if you are existing policyholder you can add flight and hotel cancellation cover to your policy for added peace of mind. If you require medical assistance or you need to make a non-emergency claim on your insurance please consult the table below to find the correct helpline depending on whether you have a standalone policy or linked protection to your Premier Current Account. Phone Santander life insurance for free by calling their UK freephone contact number 0800 141 3430 for free to discuss your policy, for example if you would like to increase the lump sum payable to your family on your passing you should call this helpline to change your premiums. Similarly if you would like to check how much money you have already paid towards your policy you can phone this number to confirm the amount. If a loved one has passed away you can phone their sensitive team of advisors using the contact number below to make a claim against their Santander policy. Phone Santander for free on their business freephone contact number 0800 731 6666 for assistance when managing your company’s finances or public liability insurance policy. You should phone this number if you would like to increase the amount your are borrowing from the bank through your loan, company credit card or vehicle finance product. Moreover if you are interested in holding your finances in one of their specialist current accounts you can call this helpline to find out more about the benefits of holding your money with them. You should also call this helpline for technical support and training for your staff when using the Santander online banking platform. Finally if you are moving premises or changing your nominated financial representatives you should call this contact number to notify them so that you continue receiving your vitally important correspondence. Contact Santander to make a complain by calling their dedicated freephone number 0800 171 2171 if you believe that you have been unfairly overcharged by the bank or you have been denied a borrowing account such as a loan for no valid reason. The advisor on this helpline will guide you through the remainder of the complaints process and notify you if you are eligible for compensation, for example if you have been underpaid on an insurance claim. Alternatively you can write to their complaints postal address below, however be aware that you are likely to get a faster response by calling them and that you shouldn’t include sensitive bank account details which could be used fraudulently. Santander recognise that many customers prefer to contact their bank using a different method to their telephone helplines which is why they offer online contact forms, postal addresses and even social media profiles so that you can reach their staff to discuss your financial affairs in the way you choose. You can write directly to Santander’s UK head office in London for general enquiries about their banking services by using their postal address below, however you should be aware that this team won’t be able to handle sensitive information specific to your account. To send an email to Santander you should visit their UK ‘contact us’ website and select the banking product you wish to enquire about, you can also use this webpage to access their online banking platform as well as find the answers to frequently asked questions (FAQs) which may help you.